Lions tight end Eric Ebron is injured but no one seems to know for sure when he'll be back. Detroit Lions tight end Eric Ebron could not finish last week’s game against the Seattle Seahawks after suffering a knee injury. Although an MRI showed no structural damage, according to ESPN’s Adam Caplan, that doesn’t mean Ebron is good to go. 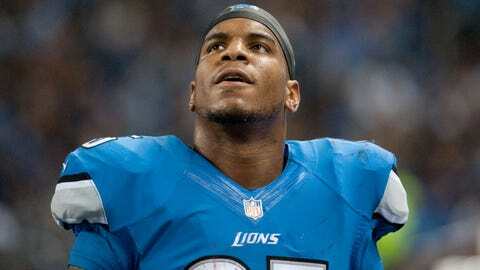 ESPN’s Josina Anderson reported on Wednesday that Ebron’s "bruised knee" could keep him out for three weeks. Lions head coach Jim Caldwell did not confirm that report. Instead, he asked if "Dr. Ebron" was the source, according to ESPN’s Michael Rothstein. Jim Caldwell on reports that Eric Ebron will be out 3 weeks (on 97.1): Is that Dr. Ebron who gave that? Ebron was rebounding well from a disappointing rookie season before injuring his knee. Through the first four games, the 10th-overall pick in last year’s draft has recorded 15 catches for 179 yards and two touchdowns. The Lions are running low on reliable receiving options, so they definitely want to get Ebron back as soon as possible. In the meantime, Tim Wright will step in as the team’s top pass-catching tight end.